Finding the best 600 watt LED grow light is one of the most important and difficult things for our grow room. A major issue arises when you are not fully aware of which type of light to install. Also, it’s important to know what maximum amount of heat is acceptable to grow your plants. You can harm your plant or its taste if you don’t know what you’re doing. These factors are important as they are vital for the growth of your cannabis. You will find some 600W LED grow lights online being compared with HID or HPS lights. But, the most important thing is how budget friendly these lights are when compared to others of the same wattage. In the long-run, smart people always go for LEDs as they consume less power and give the desired results. Usually, these 600 watt LED grow lights are perfect for an area equal to a 4×4 grow tent. If you’re using two of these lights, an area of a 4×8 grow tent is perfect. 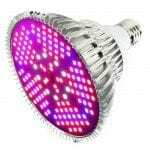 In this article we will cover the best 600W LED grow light reviews. We go over all features of the most popular ones in various price ranges. You will read about all that we think you should know about. Are looking for the best 600w LED grow light? Then you are in the right place. G8LED G8-600 is the most trusted 600 watt LED grow light when it comes to perfection and healthy growth of cannabis. It consists of all the features which your vegetation requires, thus giving a great result within a short space of time. With all the features you can wish for in a light, this 600w LED grow light helps in growing great cannabis. The G8LED G8-600 uses an eight band full spectrum light to penetrate your plant. This is a perfect amount for plants. No color spectrum is wasted, so the energy of the light is used at its full potential. Also, all the wavelengths that are needed to grow cannabis are present. 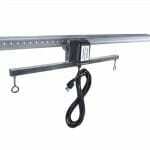 This light is perfect to grow plants in an area of 4×5 feet. Especially the center of the area receives all the light needed to let the plant grow. Make sure this light is at aking the light to travel at every point where the light is needed to stimulate the growth of the plant. The other important factor which is mainly looked-after while growing up the plant is temperature. A high temperature harms your plants and gives a bad taste, making it unsuitable for further use. The temperature control of this G8LED G8-600 is great and one of the reasons it has won numerous prizes for many years. It was #1 in the 2018 Wiki Top Ten LED Grow Light and won the award for Best LED Grow Light by High Times Magazine two times in a row in 2017 & 2016. Double chips diode, 5000 hours of lifespan, and high standards determine the quality of lights that KingLED offers. With excellent performance and a great full IR spectrum, growing your vegetation was never as easy as it is with the King Plus. 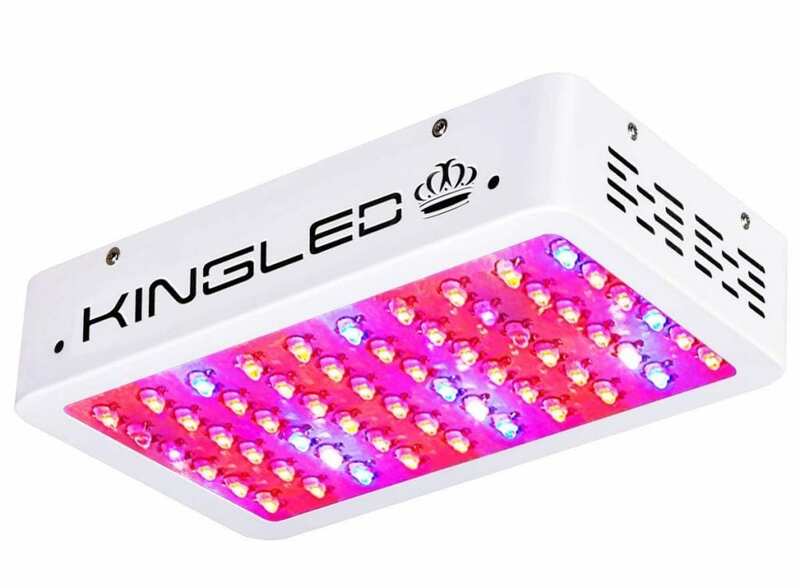 Due to its price/quality ratio, this 600 watt LED grow light can’t be missed in this list. The King Plus 600w LED grow light amazes with its great features that you don’t find in any HID/HPS light. These HPS bulbs have a limited life and are fragile compared to LEDs. 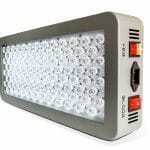 We mention this light in this list because it is a very popular 600 watt LED grow light. Many beginning growers choose King Plus because it is reliable and has a great price/quality ratio. This light has all the features you need as beginner indoor grower. Your plants will get full coverage of full spectrum light as this grow light covers an area of 3×3.4 feet. It helps the vegetation to take place quickly and at a fast rate, by not allowing the heat to disrupt the process. When it comes to comparing King Plus 600W LED grow light with the High-Intensity Discharge (HID) bulbs or lamps, the HID bulbs consume 600W power, while the same result you can achieve by consuming a much lower potential of 120W. Return Policy – Easy return policy of 30 days and a warranty of 3 years makes this a fantastic product. The quality of this 600w LED grow light is thereby guaranteed. With all the essential functionalities, this is a great beginner LED grow light of 600 watt. Viparspectra is another fantastic product in the range of 600 watt LED grow lights. Again, this light uses low power with a full IR spectrum. The Viparspectra 600w is designed while keeping the actual requirements of the plant and grower in mind. The flowers and plants need proper care and attention during the growth process. From seeding to the intermediate phase when the plants are taking its actual shape. Viparspectra 600w LED grow light is useful at this stage as it covers a large area. It will reach the light at every possible region of your plant to get the desired result. With advanced aluminium heat sink and front-facing cooling fans, 13.7 lbs weight and three years of warranty, this is a great 600 watt LED grow light. Its maximum coverage is 3X3 feet (perfect for a 3×3 grow tent) and gives superb results. Compared with 600W HPS light it saves a lot of energy and money. It also gives better yields than any HPS light in this range. It also has three modes for different growth phases and a front facing cooling fan to regulate and maintain the temperature. This helps in stimulating the growth and maintaining the taste of the plant. This Viparspectra 600w has an additional feature with its low power draw. On the contrary you won’t find a daisy chain option which is the only con. This is a perfect light just above the cheap options that are available. It is not as perfect but cheaper as the G8LED G8-600, and of higher quality than the King Plus 600w. Having 60 dual chips LED grow light makes sense for any customer when he’s looking for cost-effective, highly durable and low-power consumption lights. Especially when it is to grow cannabis indoor. The Phlizon Newest 600w comes with a thermometer to get the current temperature, humidity, and air pressure. This makes it easy for you to notice any changes in the environment of your grow room. 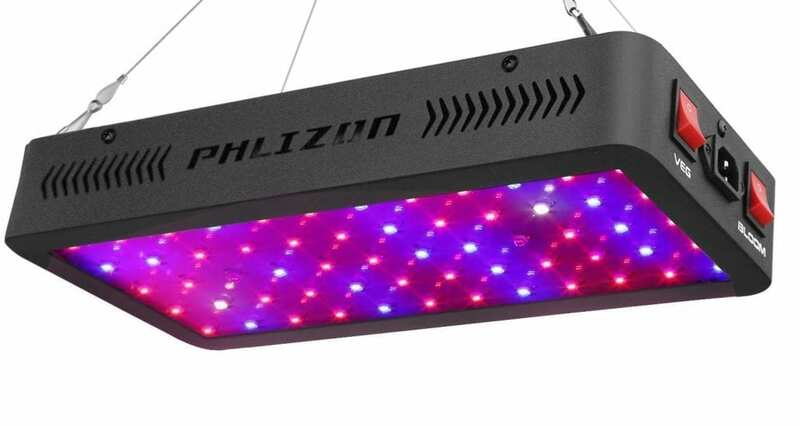 One cannot quickly turn their eyes with the Phlizon Newest 600w LED grow light. It is one of the best 600W LED grow lights in the budget-friendly range. This light not only saves you money in the long run, but also saves enough power and gives control of the environment with the included thermometer. 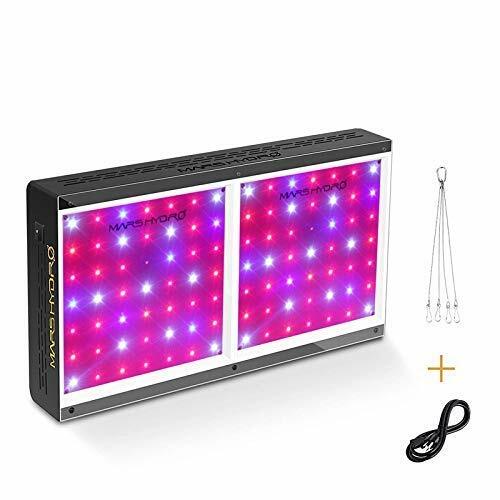 Recommendation: I would suggest purchasing this 600 watt LED grow light when you need a light for a 2×2 feet area. This is the coverage area when you install it at a height of 22”. It is the most budget friendly and complete 600 watt LED grow light in its price range. 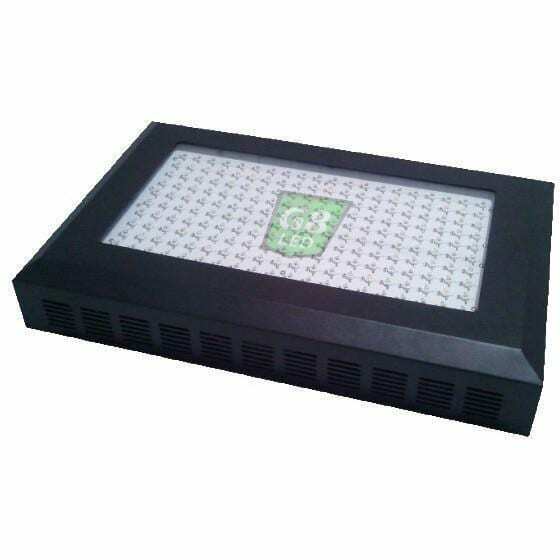 It is easy to expand you operations with multiple lights because of the daisy-chain feature. The product receives great ratings on Amazon and the amount of reviews shows it popularity. The 600w LED grow light comes with a 2-year warranty. When looking for a budget option this light is the right choice to get your cannabis to grow fast with great taste. What more do you need when your LED grow lights come with an advanced technology that automates your built-in fans? The PlatinumLED 600 watt LED grow light has a great 12 band spectrum and is great at keeping the temperature low. The Advanced Platinum LED P600 is one of the best lights when you want to spend some extra money. Cost and quality are the two main factors that define this lED. This light is ideal for growing in all stages. Growing the plants at all the stages, such as vegetation and blooming is very comfortable as you can customise the light spectrum by using its growth phase switches. This PlatinumLED P600 is made in the USA to protect the quality of the light. The housing and the LEDs are noticably of greater quality than its China-made equivalents. I would not hesitate to give this product 5-star rating. Many other growers give the 600 watt LED grow light a great rating as well, as it is one of the most reviewed grow lights online. The Advanced Platinum LED P600 comes with a 5-year warranty and a 90-day replacement guarantee. This guarantees its quality. Also, this fabulous product is comprised of 200 pieces of 3-watt LEDs, allowing a lifespan of at least 100,000 hours. I would really recommend this light to every grower looking for a super reliable and high-quality light. The Advanced Platinum LED P600 is a bit more expensive than most lights, but the quality is much higher. Also, the full light spectrum is 12 bands, which is better than any other 600 watt LED grow light. This one guarantees great yields for many years. MarsHydro MARS 600W LED grow lights comes with a dimension of 18’’ X 11’’ X 3’’and covers about 2.5’ X 2’ at 20” during the veg phase. In the bloom phase it covers 2′ X 1.5′ at 18”. 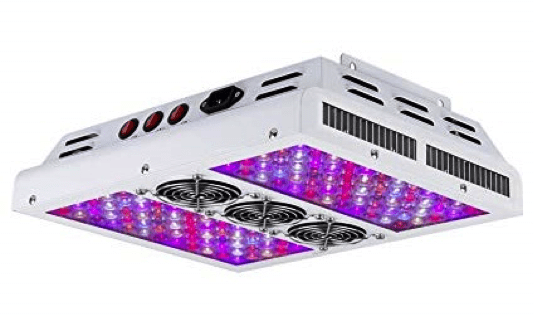 This makes it a popular 600 watt LED grow light among growers. MarsHydro is very popular and this is one of it’s most famous lights. This light comes with a full light spectrum range. It is an often purchased product on Amazon in the budget-friendly 600 watt range. It covers a decent area and imparts brightness to every part of the plant. The light can adapt to different growth phases. This is important for the plant to grow and attain good taste at the same time. It has the high intensity and draws an average power of 132 watt, thus saving lots of energy compared to a HPS/HID grow light. This MarsHydro MARS 600w comes at a decent price that is a bit higher than most of its competitors. This is justified by the higher quality that this 600w LED grow light delivers. MarsHydro is known for its high quality lights and isn’t a cheap build light. It however, does not possess very noteworthy features. It just gets the job done with a well-built and safe light. When it comes to comparing with other high-intensity discharge bulbs, you will find this light more compatible with your surroundings. It consumes less energy and outputs less heat than any HID/HPS. This 600 watt LED grow light is one of the most remarkable models when you look for easy, fast, and effective growth. 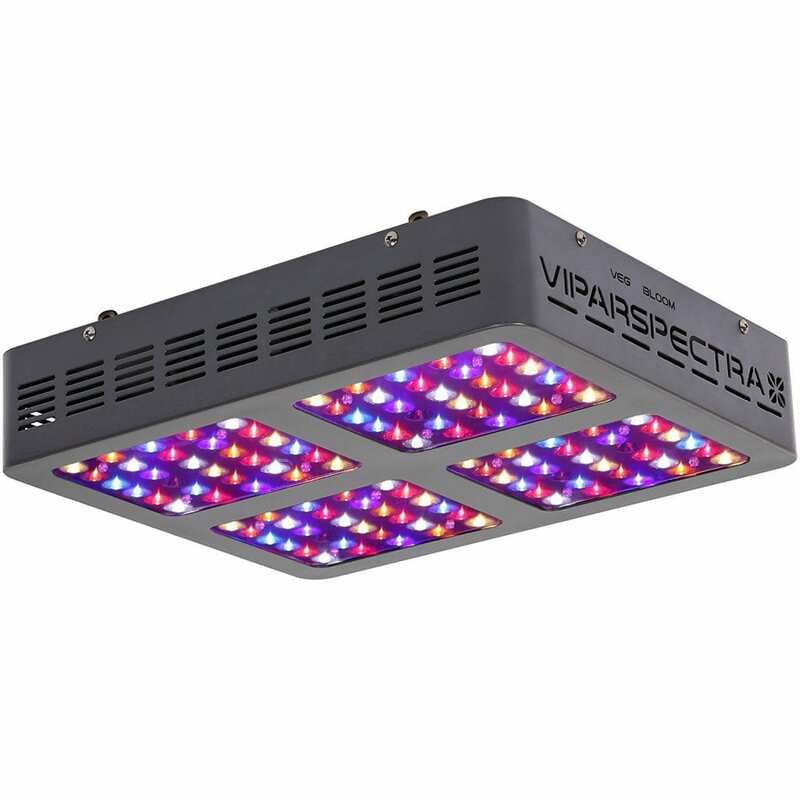 The Viparspectra PAR600 is the best 600w LED grow light in its price range. Every person who loves growing cannabis, loves this light. With a dimension of 14.1’’ X 11.8’’ X 3.5’’ and a weight of 13.7 lbs, this product amazes with its coverage area and function by efficiently handling all the environmental conditions. The Viparspectra PAR600 always provides a good result. 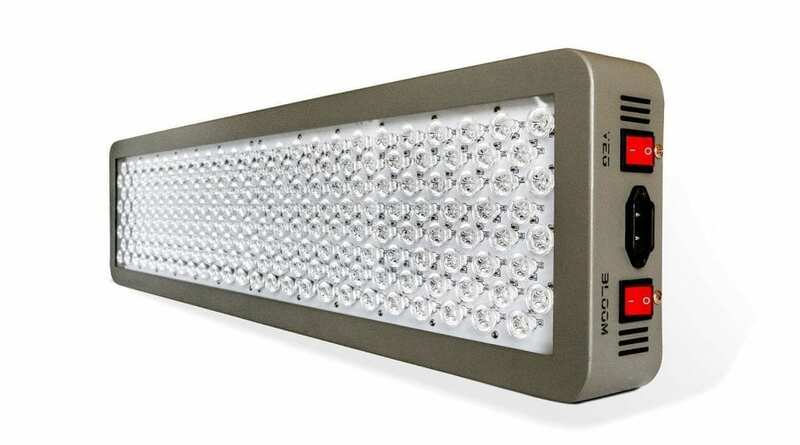 This light is specifically designed for people who want a high quality 600 watt LED grow light. Next to that, it is not a light with an absurd price tag. The PAR600 is built perfectly, has lots of great features and is not overpriced. It has everything you need as someone who has a professional indoor garden. The light has full spectrum, a three power option, great cooling fans and is built very well. If you’re into spending time with your indoor garden, this is a light for you. It is not as advanced as the G8LED G8-600, but it is a good competitor in a lower price range. You can find everything which you need in a single grow light, such as quality, a beautifully designed product, front-facing cooling fans, three mode switches, a good coverage area and lots more. Still not sure which 600 watt LED grow light to choose? Check out this video review with all kinds of LED grow lights. Last but not least, before going to purchase your 600 watt LED grow light, know your budget and understand your needs. Also, it is essential that each product is designed with a specific purpose, with different coverage areas. So, your final decision depends on your how much space you have to cover and much money you are ready to spend on a single product. Different people have different taste and preferences. Go through the reviews and ask from before investing your money in any 600 watt LED grow light. Are you interested in grow tools for your indoor garden? Check out the best bud trimmers, carbon filters, nutrients & fertilizers and PAR Light meters. The best 600w LED grow lights are combined in this article. Check out what we think of every light and what are the best features.